I created this easy holiday appetizer recipe for Apple Pecan Brie Bites as part of a sponsored post for Musselman’s Apple Butter. Raise your hand if you are a HUGE appetizers fan like me? Have you ever went to a restaurant and ordered the appetizer as your main course? Yes! Do you go to parties with an almost empty stomach because you know there is going to be a huge assortment of delicious appetizers? I do! It’s all the cheesy, crunchy, flavorful, bite-sized delights that get me. 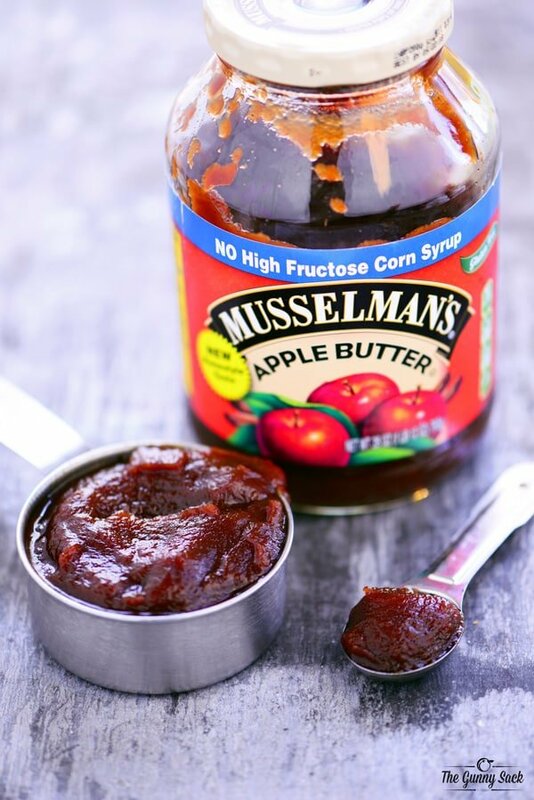 With that in mind, I am excited to share my latest recipe as a Musselman’s Apple Butter Ambassador. 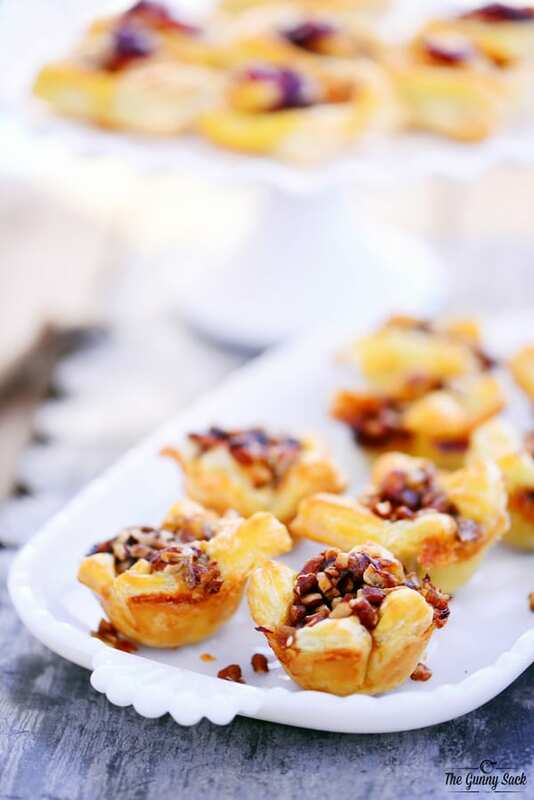 These Apple Pecan Brie Bites are a fun spin on the classic baked brie for holiday parties. 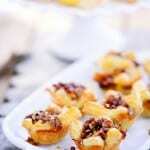 With flaky puff pastry, creamy brie, spicy apple butter, and crunchy pecans this appetizer is sure to be a hit. Musselman’s Apple Butter is the perfect flavor to compliment the brie cheese. Apple butter is more than just a spread! It can be a delicious addition to both sweet and savory recipes. Musselman’s Apple Butter is made with American-grown apples and has a great, unique taste. Cut a sheet of puff pastry into 24 pieces, use a rolling pin to flatten them a bit and put the pieces into a greased mini muffin pan. Top with a piece of brie cheese, Musselman’s Apple Butter and a sprinkle of chopped pecans. Bake at 400 degrees for 13-15 minutes. Be sure to line the oven rack with a piece of foil to catch spills from any of the brie bites that get too puffy and spill some of the contents out of the cups. 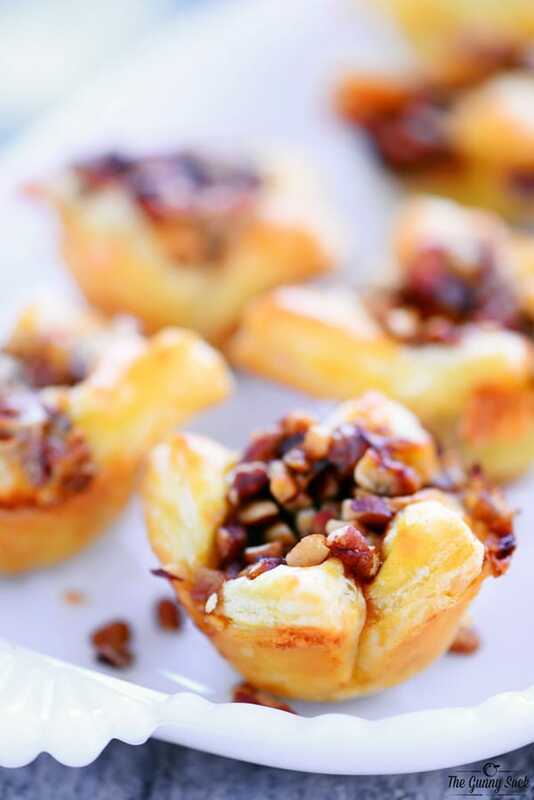 These apple pecan brie bites can be enjoyed warm or cold. Put them on platters or even cake stands for serving. 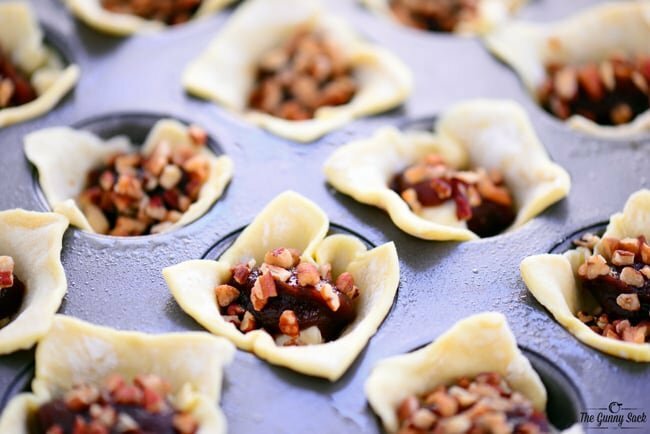 These Apple Pecan Brie Bites are an easy holiday appetizer that everyone will love. 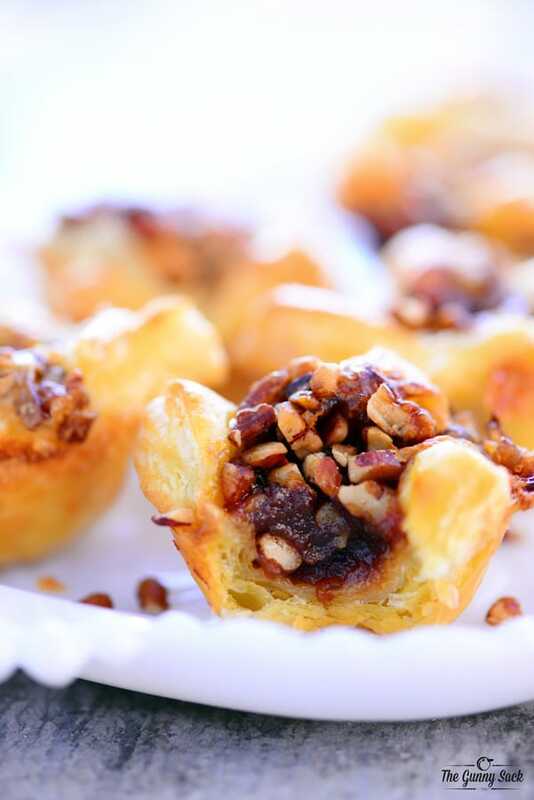 The richness of the melted brie with the sweet, apple cinnamon of the Musselman’s Apple Butter and the crunchy pecans all in a flaky pastry puff is fantastic! Press seams of puff pastry sheet together. Cut the sheet into quarters and then each quarter into six pieces. Use a rolling pin to flatten each piece of pastry into more of a square shape. Place the squares into 24 greased mini muffin cups. Put about 1/2 teaspoon of brie, 1 teaspoon of Musselman’s Apple Butter and 1/2 teaspoon of chopped pecans into each muffin cup. Place a piece of foil on the baking rack in the oven (to catch spills) and place the mini muffin pan on top. Bake 400 degrees for 13-15 minutes. Do you think these could be made ahead and heated again later? Yes, you could but puff pastry is best when served immediately. I would suggest preparing them ahead of time and baking them right before serving. Best of luck! What a perfect treat to bring to a holiday party! Love how easy these brie bites are! I want them ALL. These are truly the perfect little bites Tonia! These wouldn’t last long a cake stand, I’d eat them all! What a wonderful fall recipe. I love apple butter and think these would be perfect for a holiday party! I love apple butter! These look sooo good. Oh this is a perfect appetizer! 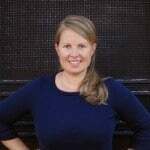 I love every ingredient in this recipe!